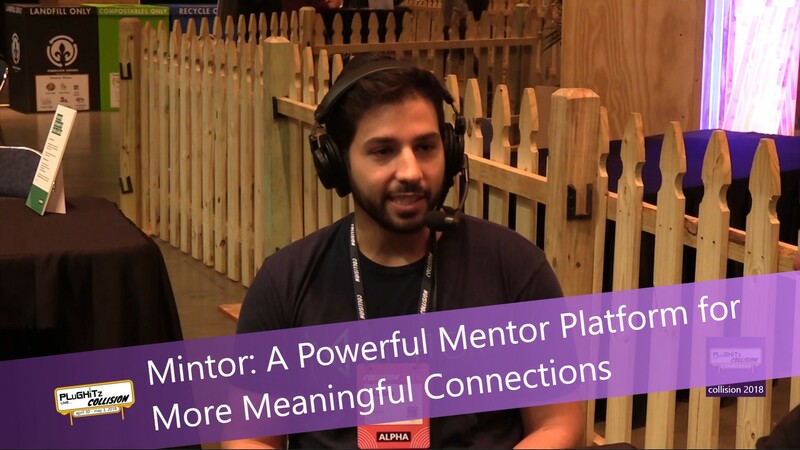 Mintor co-founder and Chief Operating Officer Kasra Khalili joined us at Collision 2018 to talk about his online connection platform for mentors and mentees (those being mentored). His own life experience, post-college, was the impetus for developing Mintor. It took several months of research and personal networking before he found the right professional guide for his needs. He ultimately found the experience so transformative and perspective-setting that he was inspired to help others more easily find their own personal experts and career guides. While there are other matching platforms available for mentors and youth or under-represented populations, most are broad in scope. Mintor aims to create a more customizable and organic experience, utilizing a proprietary algorithm that screens for compatibility between mentors and mentees based on professional needs, level of current expertise, topics of interest, goal alignment, personality and learning style. After an initial match, student and guide meet to get to know one another and confirm compatibility. The platform provides a scheduling tool for future meetings, as well as a continuous feedback loop to foster community moderation and performance accountability. The system also allows users to set learning goals, track their progress, and share milestones. Currently in the alpha, pre-development stage, Mintor hopes to launch January 2019. With 60 mentees already in the pipeline, the company wants to build their network and get as many people as possible interested, and build out with multiple subscription-based platform offerings that range from access to one mentor to premium membership that expands user and platform feature options. Mintor also recognizes the need for mentoring in corporations, businesses, and universities, and plans to be able to provide the vital metrics these larger institutions value. You can learn more at the Mintor website, where visitors are also invited to share their mentor stories.